Biggest problem I have is finding good pose reference atm. True words that cover many more thing's than just what we do here. Thank you for the post. If it is a joke, it's not very funny. Movies, training videos, etc.. and screen capture. I think of those as training excercises. I've never bought one myself, but I can understand their use. You can break it down and look at things like the lighting setup, the pose, the backgrounds and generally get a feel for how to achieve certain effects in Daz. That way you can reproduce similar results on your own later. Of course, that doesn't mean I haven't seen countless copies of those ready to render scenes on DeviantArt with literally no alterations at all. flipping BRILLIANT MattyManx!!! Thank you for that. The thing is, after fifteen years playing with 3D stuff, how come I feel like I STILL am somewhere in the middle of my first two? There is never a point at which you stop learning. Even I have learned new things lately and am very glad I did. So no matter how long you have been doing it, just keep going at it. Excellent post Mattymanx...definitely words to live by. Back when those were first proposed I suggested a follow-on pdf or video tutorial - covering both how to see what was under the covers and how to 'make it your own' by experimenting with lights, poses, camera setup, and textures. Never went anywhere. Still think it would serve as a valuable introduction to 3D. Very true, thanks for posting that. I finally got around to viewing Dreamlight's DS4.5 FREE video tutorials in the DAZ store as I'm contemplating getting one of his Surfaces video tutorials. There are 11 DAZ Studio specific video tutorials and they are all currently FREE. He provides very clear tutorials on each subject. I highly recommend anyone new to DAZ Studio to get them. I never saw them as ridiculous at all, though they're of little use to me. So very true, Matty. A lot of skillful artists it seems like want to pretend like they just woke up one morning magically able to do exactly what they wanted, but achieving really good results takes time and effort! It's so easy to get discouraged when your first results don't live up to your expectations. 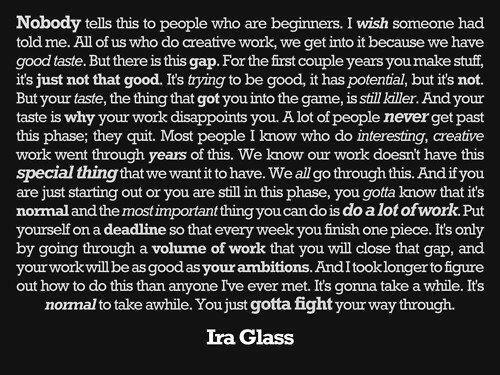 It's refreshing to see some advice like this once in a while to remind you to keep trying until you get better. :) Thanks! I have to find a way to quit my day job (or at least find one closer to home so I don't spend 4 hours just getting to and from it) and still keep a roof over my head, the computers running, and content being downloaded. As to learning being an ongoing process, I have learned more about music, music history and history in general since I left college, particularly in these days of the Net (and I'm not talking just dialing up Wikapedia). True, most of what is out there is commercial/political carp, conspiracy theories, and pr0n, but there's also good and helpful stuff as well. Heck, I used to work on search engine development in the old CD-ROM multimedia days (sheesh, that was two decades ago), so knowing how to structure and filter keywords/phrases to get the results I want the first time is kind of second nature. For example, sites like the Blender Foundation have really helped me get a foothold on the powerful yet oft seen as cryptic modelling app. Without the tutorials on Tom's Hardware, I never would have built my own workstation (now I need to find where to go to learn how to configure WIn7 properly). Even lowly YouTube can be enriching if you make it so. 90% of my playlist is composed of incredible performances of music from Baroque to the modern era. Watching and listening to the performance of a Chopin ballade performed on a piano of his day rather than a modern grand piano or a Bach fuge on three century old mechanical action organ offers a unique perspective on the music and a greater appreciation of the composer's artistry. The other 10% are tutorials, historical stuff, and the Nom Nom Kitty. This is not to say it cannot be a source of enjoyment as I do get a laugh from what I like to call "the stupid human tricks" vids (even those can have an "educational" effect if not at the very least making one feel a little better about one's self ). ...apologies for the ramble. In the end, I've been at this thing called 3D-CG for about 4 and a half years (which is nothing compared to some others here). I feel I've barely set a foot in the waters and still have a long way to go and not many years left to do it all in. While I agree 100% with the message in the OP, there are times when certain limitations become so restrictive that continued growth and even interest can become stifled. To this I address advancement of the media which has pretty much exceeded the boundaries of the 32 bit platform. All the new features, better meshes, improved lighting systems, etc, have come at a cost in the need for greater processor power, GPU performance, and more memory. So there are those times when the tools do need a bit of an "upgrade" for one to move on with his/her visions. It can be very frustrating when the vision in your head doesn't match your render. I've been an artist of one kind or another my entire life. So very true and most appropriate Matty! I am truly fortunate in that I chose a few very useful Usenet newsgroups (alt.binaries.3d.poser) and the 'Big 3' 3D sites forums. Particularly the DAZ forums for the high level of participation by a great mix of users. Folks in these places have been telling me all this for YEARS now. Each person in their own way saying the same in a way of encouragement. And even after nearing a decade, are still telling me this. I have seriously debilitating health issues now that I didn't even know of back then. That does not dampen my desire to get up a DO things I want to do. It does not lessen my want, my NEED to express myself in some artistic way. Whether that be to grab up a guitar and pick out a melody, or to fire up the PC and slap a scene together and hit the MAKE ART! button a few times or to nab a Sharpie and scribble on my desk top; I WANT to express myself and have others SEE/HEAR/EXPERIENCE my 'art' themselves. I know that for me ART is *communicating* something. To someone. I know that IF someone else becomes aware of what I did, it WILL make a dent of some sort. That in itself is satisfying. IF someone that's aware of any of my stuff communicates something back to me about it, then I have been given a powerful gift. If I hear them and consider their input, I have the ability to grow and increase myself more than if they didn't respond. To ALL of you who have responded to me over the years (and you are MANY! ), thank you so much for your gifts!!! I've now printed this off as a gentle reminder for when I become overly disappointed with my own results. Sometimes the gap between desire (what's in my head) and outcome (what my skills can achieve) seems impossibly big. If you want to realise your desires then the only way to close the gap is to increase the skill. Lowering the desire doesn't work for me. Talent is born with you but skill grows. I think talent is the seed from which the skill grows. Desire is the sunlight, perseverance is the soil, effort is the rain,questions are the roots and experience is the fruit. It's true one never stops learning and that is true when applied to everything and everyone. Most of what I have learned has been through sites like Daz and forums sites like PFDLives, If not for the support of such sites, I probably would have given up. I have learned you don't need a lot of money to do what you love. That is not true just for Graphic Art, but for anything in life. There have been ups and downs along the way, but I keep plugging along, learning more as I do so. MattyManx, you did something very few others do..You actually said what needed to be said. Most will think it, feel it, argue against it, but rarely will they actually say it. Bravo to you. Hard to remember in these days of instant gratification and nows it does seem. We live in a very unrealistic world. But the things that matter still play by the timeless rules. While I have seen the message before (can't remember where), it is quite inspirational and does help to keep going. I started doing products in 2009 and even though I've been fortunate enough to become a PA here, I can tell you I'm no where near where I want or plan to be. I have literally thousands of projects that started to be worked on then dropped out of either frustration because I couldn't get it the way I wanted, or I wasn't far enough along in this journey to be able to complete them. It can be extremely frustrating when you're doing something and no matter what you do, it just doesn't look right and it's the same feeling no matter if you are creating art or making content. However, once you start to break down those barriers, it can be one of the most rewarding experiences. It won't come all at once (usually), but once you see that you are making progress, the frustrations usually go down accordingly. Rofl Matty, that hit the nail on the proverbial head. When I first read this I was crushed. It will take YEARS before I will be any good! I know DAZ is a complicated program with a steep learning curve but YEARS. Then after I thought about it it gave me HOPE instead. I was starting to get frustrated because I did not seem to be making much progress. (The fact that I have not been using the program for very long is totally irrelevant :roll: ) There is a chance that with hard work and perseverance I may get better. That is good enough for me. And if you can't have good taste, try to have friends and family who do while you develop some. When you are learning a new skill, often it seems that nothing makes sense. Then suddenly all fall into place and you start controlling it rather than it controlling you.